Former prime minister Nawaz Sharif on Friday questioned the conditional approval being given to former president general Pervez Musharraf to contest elections despite facing charges of high treason in the country. Interacting with media outside an accountability court here, where he was attending a hearing of Avenfield properties reference against his family, Sharif asked, "Where is the law and the Constitution now, where is Article 6 and all the cases [against Musharraf]?" On Thursday, the Supreme Court of Pakistan asked Musharraf to appear before it on June 13 and assured him that he would not be arrested upon appearance. "We will pass an order ensuring authorities do not arrest the former president before his appearance in court," Chief Justice Mian Saqib Nisar said. The Pakistan Muslim League-Nawaz (PML-N) supremo lamented that everything that was happening in the country was in non-compliance with the law. "I am not even getting a three-day exemption to go see my [ailing] wife," said Nawaz. 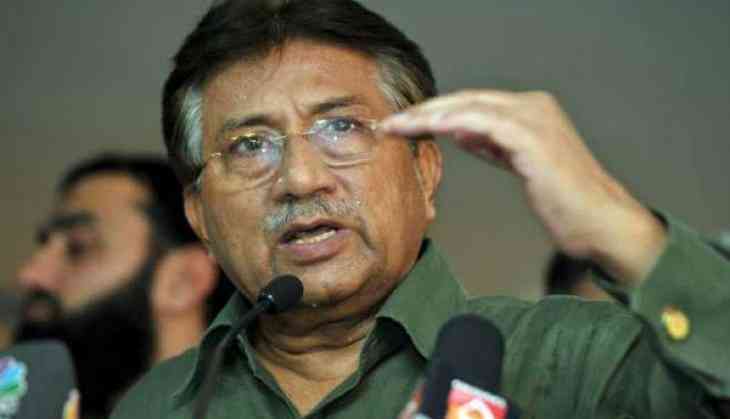 He further said that Musharraf was involved in the Akbar Bugti murder and the May 12 carnage. "Musharraf went against the Constitution on two occasions [yet he was given a conditional guarantee] while I was disqualified [from holding office] for life," he said.